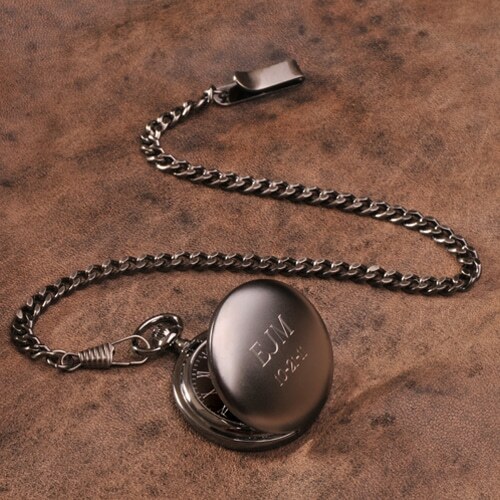 Engrave with up to three lines of text for no extra cost. 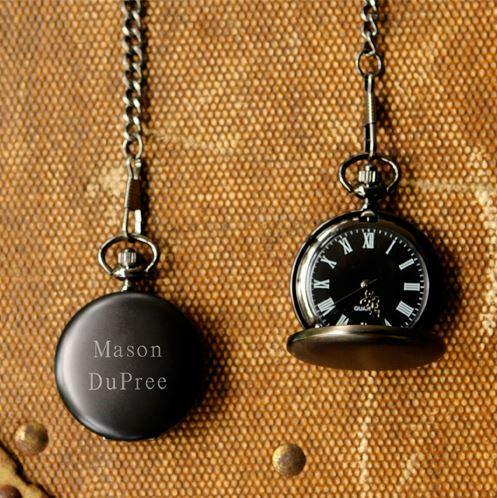 Our Personalized Midnight Pocket Watch is handsome, classic and personal. Finished in black, it’ll be a true eye-catcher for any gentleman lucky enough to wear. Whether you’re buying for yourself or giving as a gift, don’t forget to take advantage of our free engraving offer. Add the recipient’s name, initials or wedding date for no charge at all! Arrives in a wooden gift box.